. I was fervently trading live recordings in the tape network (here is my last trading list from 1991).
. 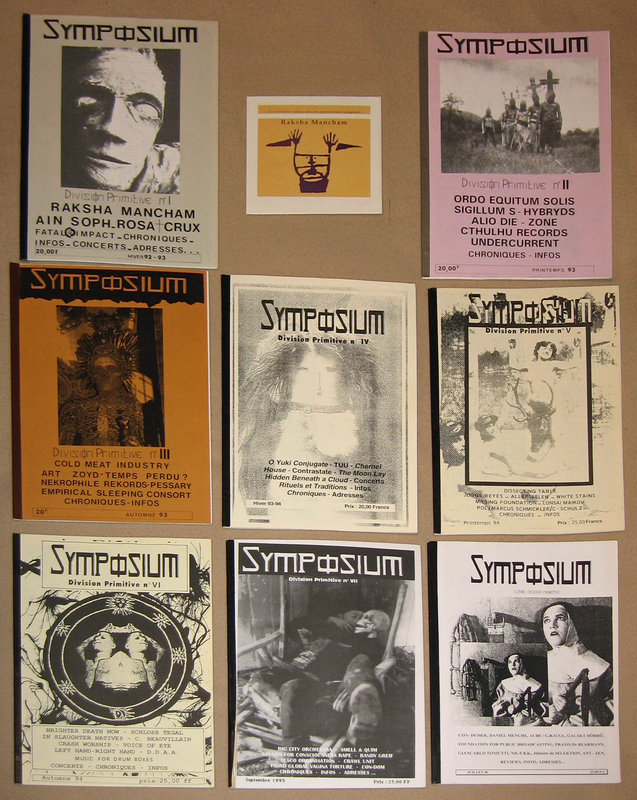 I wrote reviews and articles during the whole adventure of the french industrial fanzine SYMPOSIUM.
. 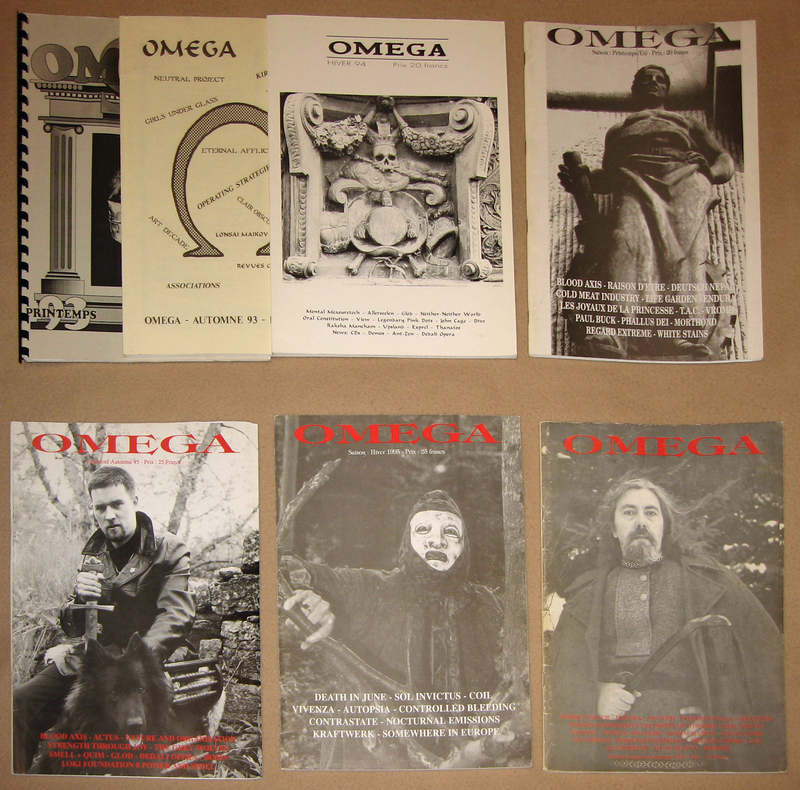 I collaborated with some others french fanzines like OMEGA.
. I managed the micro tape label EXPREL.
. I worked as a free-lance sound engineer in the audiovisual field in Paris.
. In 2003, I made the mastering of the last albums of my old comrade 47 ASHES.
. I supervised the postproduction of the musical DVD RVB-TRANSFERT. Co-produced with INFRASTITION and OPTICAL SOUND, this DVD is a huge video-clip sampler of the eighties french alternative scene. It gathered for the first time lots of archives unseen or rare, between post-punk, cold-wave, avant-garde pop, industrial and experimental music.
. I wrote a dozen of biographies of industrial and experimental french bands for the book CARNETS NOIRS.
. I co-produced the first THERAPIE AUDITIVE festival, and I continued to be involved in the following ones, mostly in filming and managing the video projections.
. I wrote some articles for the french webzine OBSKÜRE.
. I helped Eric Duboys on his industrial music saga published by CAMION BLANC, mostly with english translations and in photoshopping pictures.
. Since then, I am still helping him with various translations on specific occasions or projects.
. I began to wrote articles in english and french on my blog, and since 2015 for other sites or webzines.
. I began to upload archives, documents and live pictures on various personal blogs.